Anne Fairbairn, born in 1948, is a granddaughter of poet and politician George Houston Reid (1845-1918). She is a widely published Australian poet. She has won the Banjo Paterson Writing Award for Open Poetry (1995). Her translation of Arabic poetry Feathers and the Horizon (Leros Press, 1989) received international acclaim. She is also the author of Shadows of Our Dreaming; a celebration of early Australia (Angus and Robertson, 1983), with haiku-like poems set beside her evocative black and white drawings, and Djuringa Haiku. Her own poetry has been translated and published in Arabic, Persian and Turkish. She won the 1995 Banjo Patterson Centenary Award for her poem ‘High Country Dreaming’. She has lectured extensively at universities in the Arab world and Asia on Australian poetry and has translated the work of Lebanese-Australian poet Wadih Sa’adeh and others in A Secret Sky (Ginninderra Press, 1997). 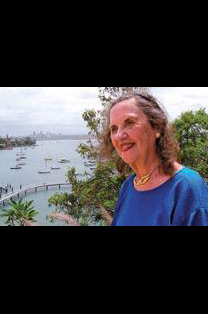 She became a member of the Order of Australia in 1998 for services to literature as a poet and to international relations, particularly between Australia and the Middle East.